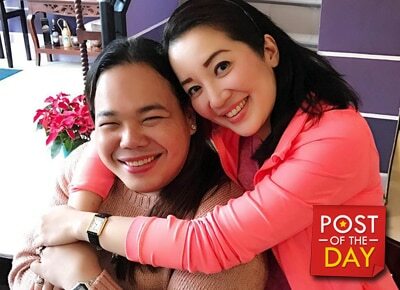 Kris Aquino took to Instagram to express how much she missed Darla Sauler, former head writer of her now defunct show Kris TV. “I missed you like crazy,” she wrote. I missed you like crazy @darlasauler ?? In Kris’s previous TV show, Darla could frequently be seen helping Kris during food tastings. “Missed you so much too (Kris)! And namiss ko ring sabihing... ‘thank you for feeding me Krisy!’ Hehehe! I'm so happy to see you HAPPY. I love you, always,” Darla wrote.